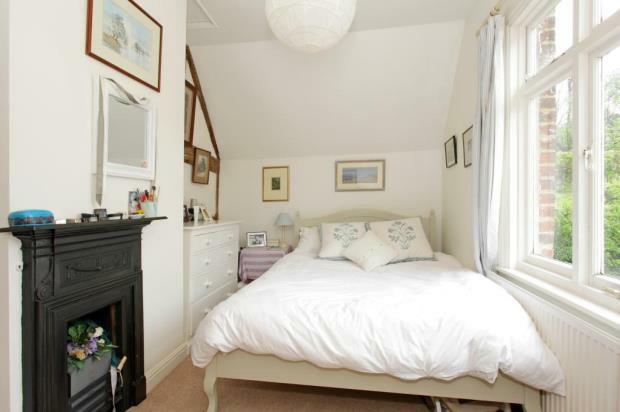 This is a charming cottage, which is full to the brim with character. 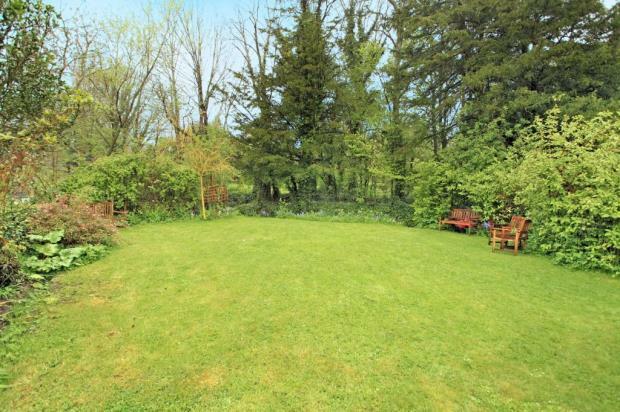 It also has a wonderful garden that stretches down to a pretty brook and is set in a popular village that retains a variety of shops (including a chemist, butcher and post office), pubs and amenities including a primary school and health centre - all within walking distance. Dogs are also welcome! 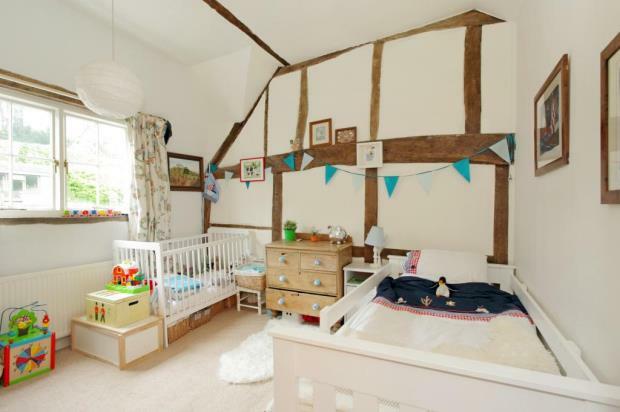 The property is Grade II listed and was built in the 17th Century with later additions. 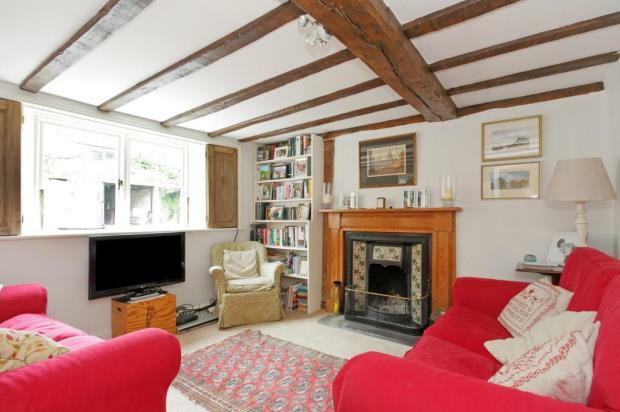 There is a lovely blend of period features (such as exposed beams) and modern convenience that combine with an abundance of space to make this an ideal home for couples and families alike. The wide split level hallway sets the tone for this property having decorative tiled floors and stairs with a stripped natural wood balustrade. The sitting room is set off the hall and has a cast iron open fireplace with tiled inserts and shutters on the window making this a very cosy room to while away an evening. The busier end of the house starts with the dining room that leads down into the kitchen/breakfast room, which has been refitted in a country style and includes a gas fired 'Aga'. 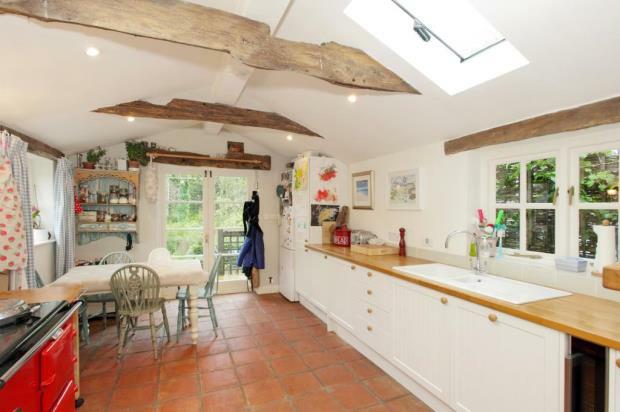 The kitchen has a triple aspect and a vaulted ceiling, which draws in lots of natural light. There are French doors at the end of the kitchen that frame a very pleasant view of the garden with a backdrop of tall mature trees. The ground floor is completed by a downstairs cloakroom. On the first floor there are three bedrooms, two of which are 'doubles' with the third being a decent size 'single'. The sloping ceilings, exposed beams and natural wood doors all add to the flavour of this home. 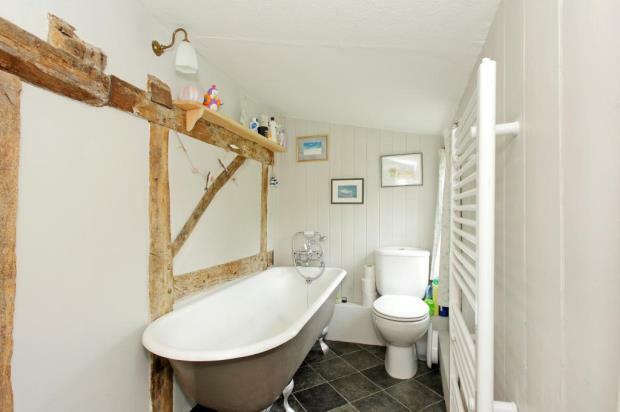 Ducking down through a low door leads to the bathroom that has a free standing 'roll top' bath. A real feature of this home is the garden at the back, which wanders off from the kitchen passing over a raised timber deck and paved terrace, through lawns, past a couple of sheds and raised vegetable beds and emerging into a wider lawn with a small chalk stream known as 'Gailey Brook' flowing by. A great garden for relaxing and entertaining. 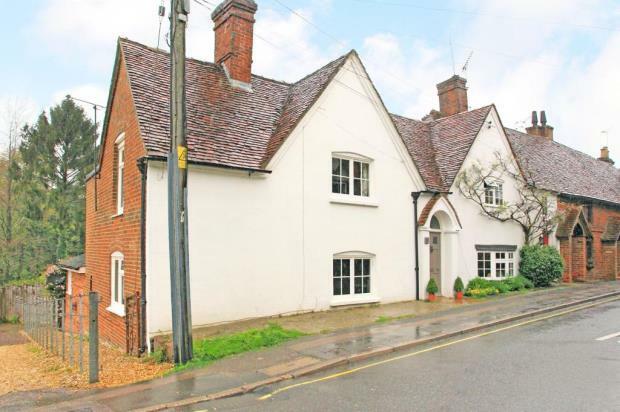 The property has the benefit of being close to the very heart of the village and has the bonus of having an allocated parking space to the side of the house.